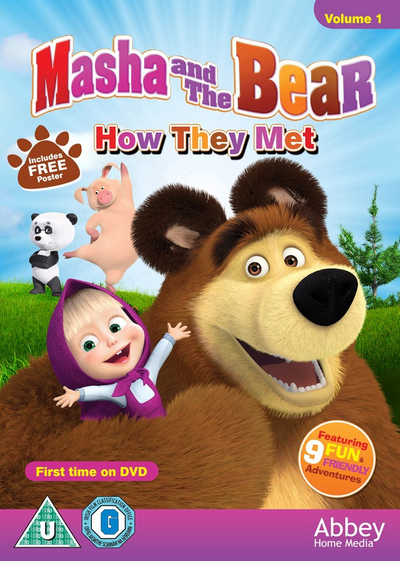 This week saw the launch of the new Masha And The Bear DVD collection and I am giving one of you lucky readers a chance to win a copy! Masha And The Bear is about 3-year-old Masha and her retired circus star friend, Bear. This is the first DVD collection of the series and it feature 9 episodes. Masha is an energetic young girl who lives in an old train station in the forest. Bear is like a father figure to her and tries to keep her out of trouble. They have a group of animal friends and the basis of the series is to teach children about creativity, loyalty and friendship. To be in with a chance to win this lovely DVD collection, simply complete the form below, good luck! We like Tiger, Masha's best friend. It has to be Masha of course. Our favourite character is Masha! The bear is so cute. i love masha, shes a little mischievous , just like my daughter. We love Masha. We watch in Russian sometimes and she has my 5 year old niece in stitches. We like Panda, the bear's cousin. Mashable is my favourite character. Apart from liking Masha I also like the rabbit for all the mischief he gets up to. I love Bear :) I think he's got so much patience!